National Security Adviser H.R. McMaster warns Iran is developing proxy armies in Lebanon, Syria, Yemen and Iraq. U.S. National Security Adviser H.R. McMaster said on Saturday that now is the time for more forceful action to halt Iran’s development of proxy armies in Lebanon, Syria, Yemen and Iraq, Reuters reported. 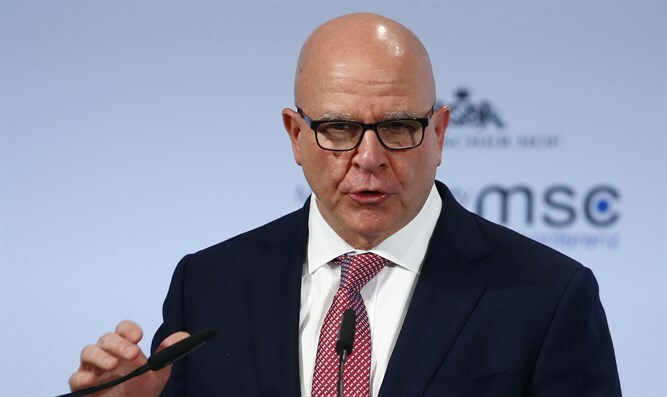 McMaster, speaking at the Munich Security Conference, accused Iran of escalating a campaign to increase its influence in the Middle East by building and arming “Hezbollah-style” proxy armies in Iraq, Syria and elsewhere as it has done in Lebanon. “So the time is now, we think, to act against Iran,” he said, calling on U.S. allies to halt trade that was helping underwrite the expansion of Iran’s Revolutionary Guards, the most powerful military and economic force in the Islamic Republic. “What’s particularly concerning is that this network of proxies is becoming more and more capable,” added McMaster. Iran has denied accusations that it meddles in the affairs of its Middle East neighbors and has dismissed suggestions it stop supporting groups such as Hezbollah. McMaster also railed against the 2015 nuclear deal signed by Iran and six other countries, saying investments made by German firms and others were helping fund Iran’s missile program and its other activities in the Middle East. U.S. President Donald Trump recently decided to extend a waiver on nuclear sanctions that were imposed on Iran and waived as part of the 2015 deal. However, he said it would be the last time he will do so and ordered European allies and Congress to work with him to fix “the disastrous flaws” in the deal or Washington would withdraw. McMaster said in his remarks on Saturday those who invested in Iran were essentially funding activities by Iran’s Revolutionary Guard. “As a matter of international security and moral conscience we must stop doing business with (Iran Revolutionary Guard) affiliated interests, encourage the development of a true commercial sector in Iran and pressure the regime to respect the rights of its people,” he said, according to Reuters.